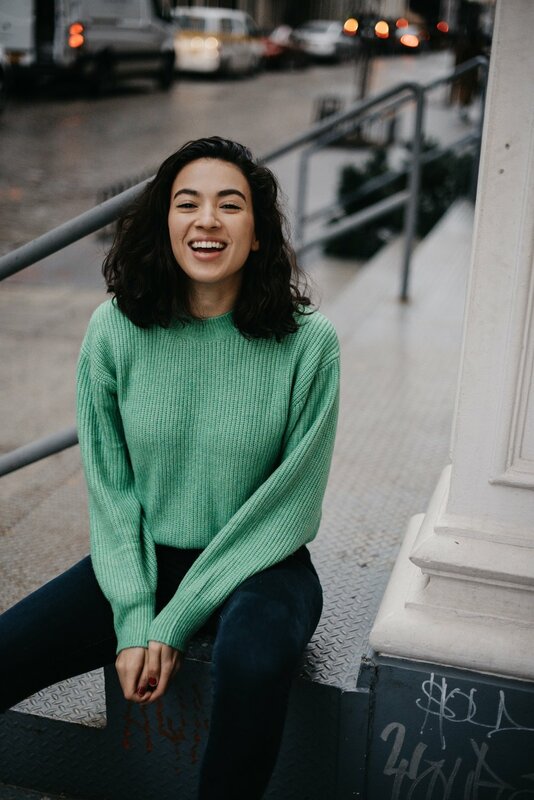 "Melody Gomez, creator of 'Mez On The Move', is a 20-something Harvard grad with a passion for wellness, people, and making the most of every sh*tty situation." What's up fam?! My name is Melody, but Mel or Mez are cool too, and I’m a twenty-something Latina from Harlem, NYC. I'm also a big sister, a hustling millennial, a first-generation college graduate, & a soon-to-be MS1 (#medschoolbound). Things I like: early mornings, used books, big mugs, bigger pizzas. Things I love: dancing in my bathroom and empowering others to live their best lives. Things I believe: positivity is powerful; wellness is for everyone; health and happiness are everything. Think 50/50 Rick Ross & Cardi B meets wellness guru, meets twenty-something on her mental, physical, and fiscal ($$$) grind. Mez On The Move is about sharing my failures, successes, and everything in between, and reminding you that YOU are capable of more than you know. Consider it a resource for female hustlers. For living well. For saving more. For making time. For setting goals. For bouncing back. For helping others AND for taking care of yourself. If you appreciate good music, want to hustle and be well, and are looking for someone to cheer you on, you’re in the right place. But if you never come back to this corner of the World Wide Web, all I want you to know is this: you can “live well” and build the life you’ve always imagined. You can make time, make moves, and get a good night’s sleep. You can dedicate your life to helping others and take care of yourself… and sometimes you can just take care of yourself. Whoever said you couldn’t have your cake and eat it too didn’t understand the cake. I hope this space inspires and empowers you to stay on the move (in "fitness", but more importantly in life) no matter your starting point or financial situation. If you read this far, I appreciate you. Thank you for making time to read what I write. It means the world to me. If you ever need me, I’ll be here. P.S. Started from the bottom, now we're here.